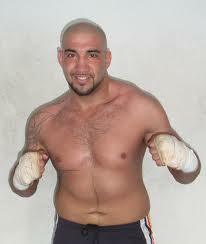 Dec 21: German newsagency DPA reports that former EBU heavyweight champ Erkan Teper (pictured) tested positive for forbidden substances twice – the first time was then winning the EU title in June 2014 and then when beating David Price in July 2015. Neither case have been made public until now and both fights where supervised by the German EBU member BDB. BDB President Thomas Puetz tells DPA that Teper could get more than a year suspension. As previously reported Teper could also face charges for possession of illegal substances. Dec 22: German paper Bild writes that Erkan Teper in fact was suspended for nine months (after an appeal it was shortend to six months) after the positive dopingtest after winning the EU title against Newfel Outah June 13, 214. However, the result was never changed, the EBU not informed and Teper was reigning EU champ until he relinquished the title November 27 the same year. Teper was then announced as on for a fight against Johann Duhaupas December 8 with the IBF IC title at stake. Days before the fight Teper withdrew with what was announced as surgery for appendix. In March 2015 with the suspension over Teper beat Duhaupas (and tested negative) and then came the fight against David Price July 15 where Erkan won on a devastating knockout over Price and another positive dopingtest followed. Still, a voluntary defence was negotiated by Z! Promotions against Robert Helenius. Teper withdrew with a claimed injury and the BDB states to Bild that Teper would never had gotten permission to fight with his doping case still under investigation. The BDB says that Erkan Teper never responded to any messages and thus the B sample was never tested and December 9 he was suspended for a year – but the EBU was apparently never informed. Meanwhile the police got into this and Erkan Teper now face suspension from boxing for a year, a hefty fine and possibly even jailtime. Much of the performance enhancing illegal substances are classified as drugs. As for the David Price fight the result may be changed to a No Contest but it is still an open question. Dec 23: Former EBU heavyweight champ Erkan Teper is now placed on the EBU suspension list following the positive dopingtest July 15 after beating David Price to win the then vacant title. The suspension is for two years counting from July 15. There is probably more to come on this but for the new EBU champ Robert Helenius it means his first official challenger is gone, and now Dereck Chisora, second in line, enters the stage again. Helenius beat Chisora late 2011 in a close controversial decision and suffered a bad hand and shoulder injury and that fight and the injury started the still ongoing contractual dispute with Sauerland Event, who now promotes Chisora. This very morning the BDB issued a statement where Erkan Teper is suspended for a one year and the result in the Price fight is changed to a No Contest. Teper may still appeal.